TUNIS, Tunisia -- The Islamic State group has claimed responsibility for an attack in central Tunis carrying Tunisia's presidential guards. In a statement posted on the Internet on Wednesday, the group says a militant it identified as Abu Abdullah al-Tunisi carried out the attack after infiltrating the bus and killing around 20 "apostates." The statement says the "tyrants of Tunis will not have peace and we will not rest until the law of God governs in Tunis." Tuesday's explosion killed 13 people and the president declared a month-long state of emergency after the attack. The United States is condemning Tuesday's attack against members of Tunisia's security forces. Tunisia's Interior Ministry says 10 kilograms (22 pounds) of military explosives were used in an attack on a bus carrying presidential guards that left 13 people dead. It said in a statement Wednesday that either a backpack or an explosive belt containing the explosives was used. It says the 13th body is believed to be the "terrorist who caused the explosion," but says the body can't be identified by fingerprints because no fingers were found. It said a DNA analysis of the body is underway. 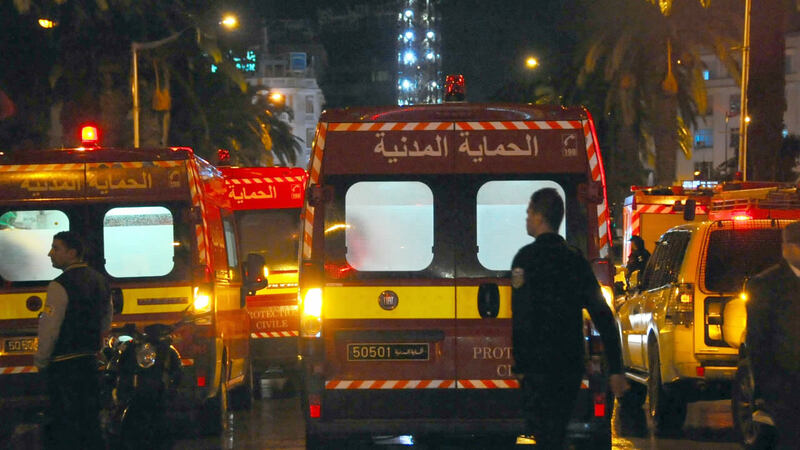 No one has claimed responsibility for Tuesday's attack in central Tunis.